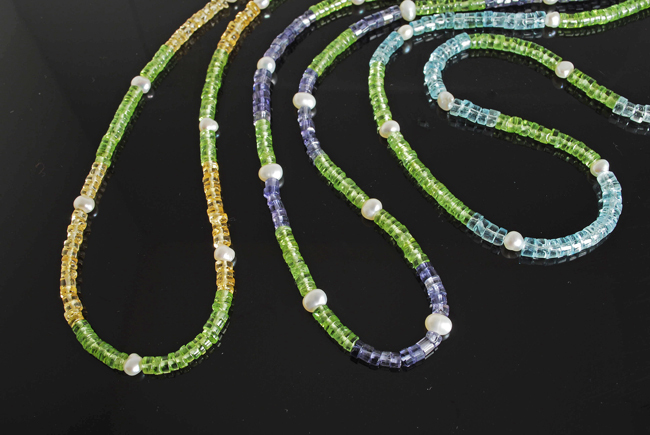 Sparkling gem strands in the subtle colors of the sea! Accented with white freshwater pearls. Wear around the seasons in single or multiple strands for a variety of looks. Shown 18″ long. Other lengths and color combinations available by special order.